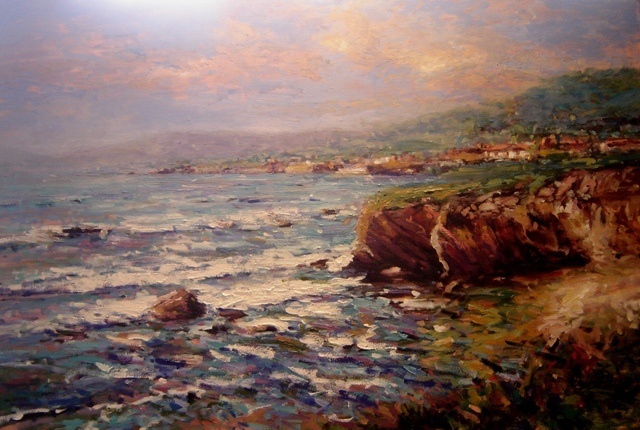 This painting of the seashore near Shell Beach California is executed in an expressive and intuitive manner. Cobalt blues and greens vibrate against accents of violet, ochre and crimson. This work won an award in the spring of 2010 at the Alliance of California Artists Open Show in Visalia California.